Connect the Nanoleaf panels to the same network as your computer using the Nanoleaf app. 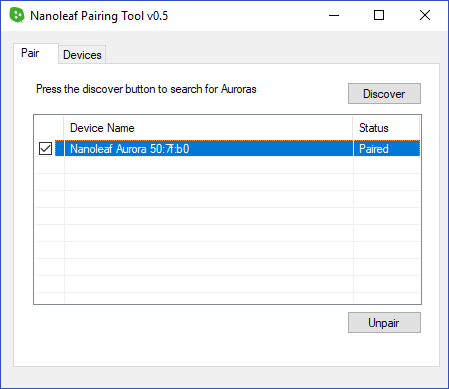 Launch the Nanoleaf Pairing Tool and press Discover. Once discovered, it will ask you to press the pairing button on the Nanoleaf controller. You will now see your Nanoleaf panels work with Razer Chroma enabled apps and games.